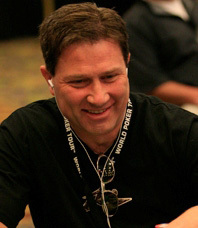 Tab joined the Borgata in 2003 as Tournament Director. The Philadelphia-New York-Boston corridor is very densely populated and competitive. Tab has listened to players and designed a tournament calendar that draws players from all over the world. In addition to a busy regular and championship tournament schedule, the Borgata hosts both the WPT Borgata Open and WPT Winter Open. These events have produced 3 of the 4 largest fields in WPT history. The Borgata poker tournament staff also supports needy local charities by directing charity events such as the Philadelphia Charity Poker Championship and the Greater New York Charity Tournament at the Pierre Hotel, NYC. To stay on top in the poker industry, Tab emphasizes the importance of consistent rules: “You have to listen to everyone to get the tournaments structured right for your market”, he says. “A smooth-running enjoyable tournament starts with straightforward rules that everyone can understand. 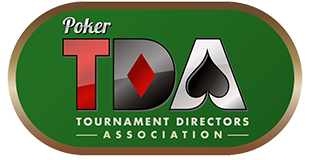 The Poker TDA has led the way in standardizing the rules and I’m glad to help advance this important cause”. Tab lives in Manahawkin, New Jersey with wife Robin and daughter Jenna. He loves all competitive sports and is a huge fan of the New York Rangers, San Francisco 49ers, and Boston Red Sox. When he’s not running a poker tournament Tab enjoys boating, fishing, surfing, the beach, the gym, and perhaps most of all playing poker. You can follow Tab (@TabDuchateau) and Borgata Poker (@BorgataPoker) on Twitter. Be patient, it might take awhile for Tab to respond during the Stanley Cup Playoffs.